Welcome to our Goodies! These are free downloadable resources for you to use at home, in the classroom, with a book club, at a church event, etc. As we grow, we will offer activities, crafts, coloring sheets, discussion guides, calendars, and additional useful links to help you benefit from our books and for your elementary, middle grade and young adult readers to enjoy the reading experience even more. 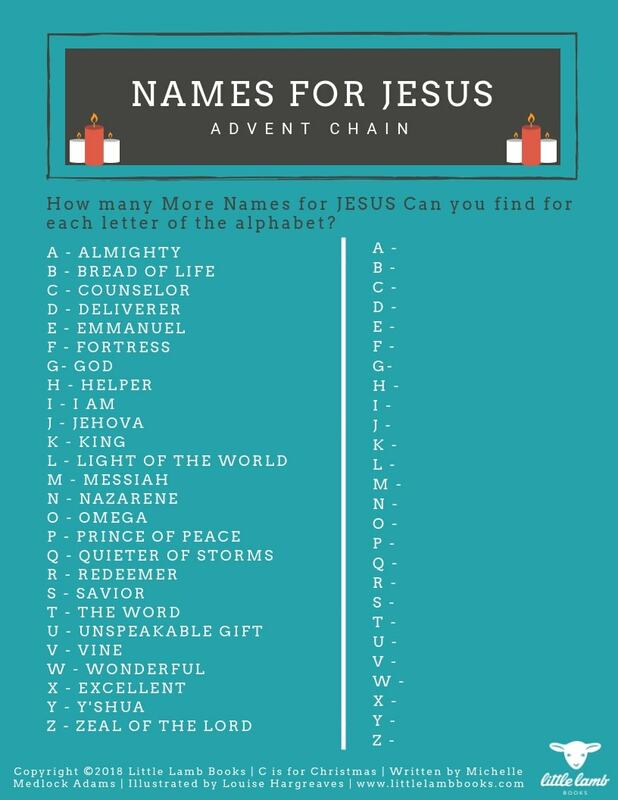 A Names for Jesus Chain is a terrific way to teach children about all the names of Jesus in the Bible any time of year, but especially at Christmastime, and it's a wonderful craft for the whole family too. 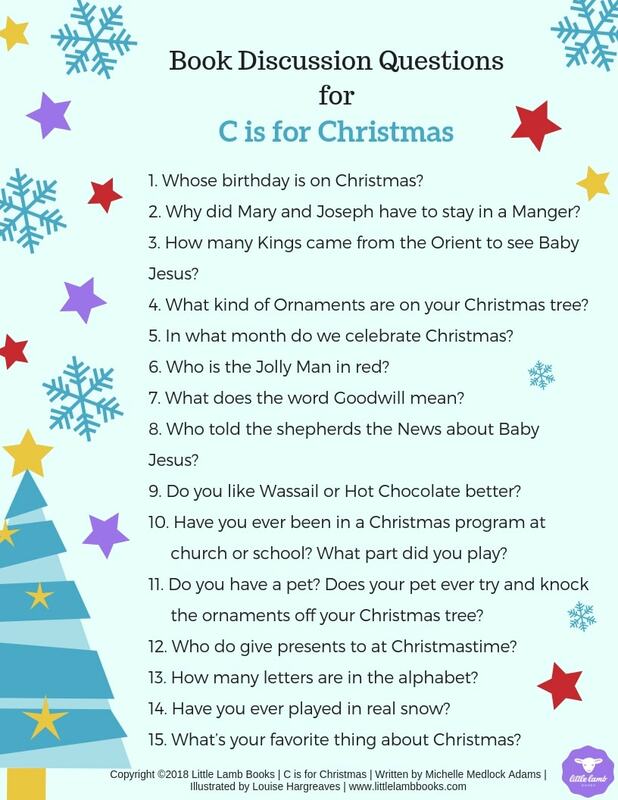 These Book Discussion Questions for C is for Christmas can be used between parent and child, teacher and student, Sunday school leader and class, and more. Enjoy a conversation about the real Reason for the Season, and have some fun too! 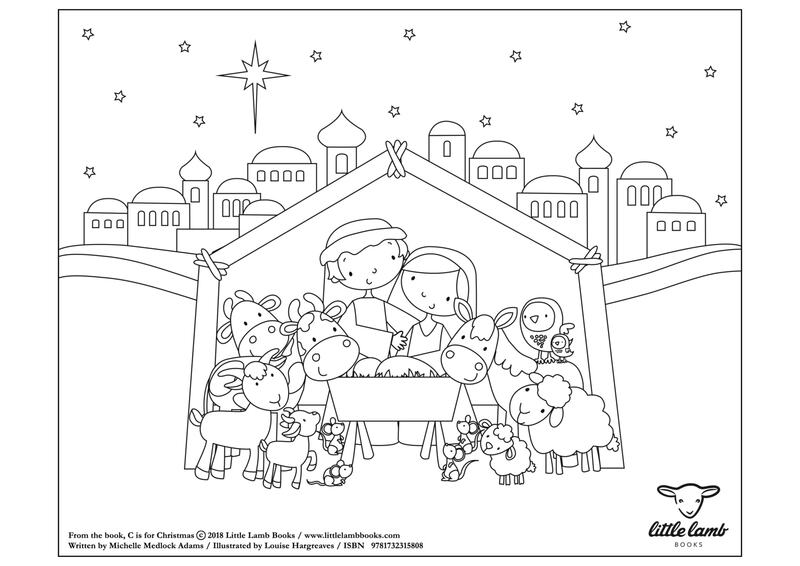 Read C is for Christmas and Enjoy Coloring in the Manger Scene with your children, students, and young readers! 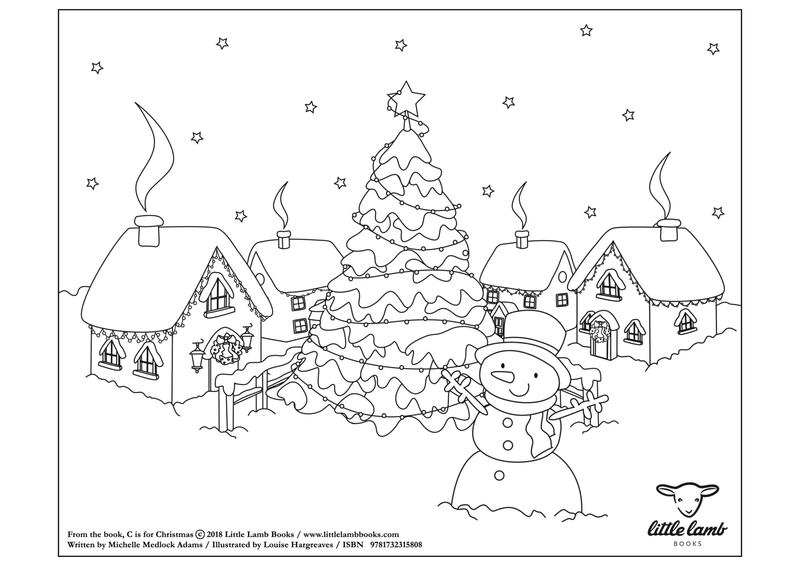 Read C is for Christmas and Enjoy Coloring in the Lights Scene with your children, students, and young readers! 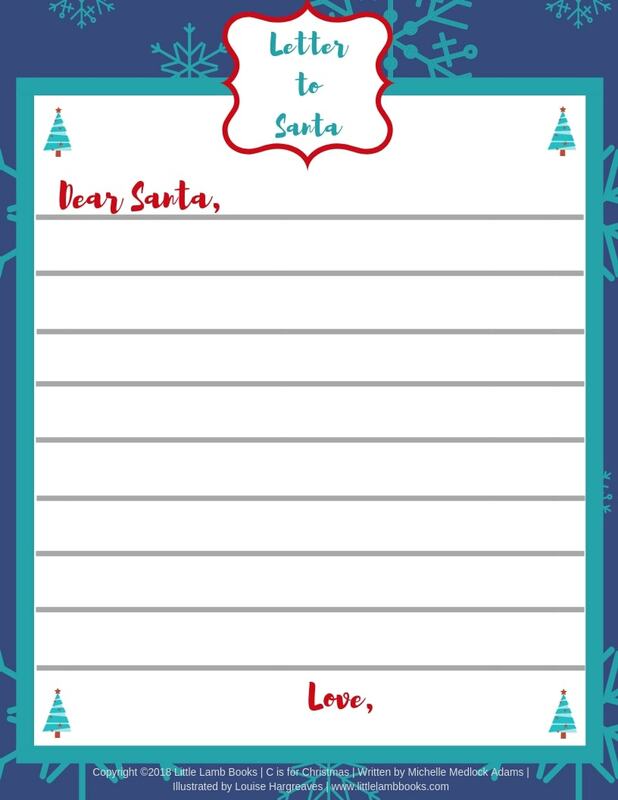 As you prepare for Christmas, be sure to print off this colorful template and have your little ones write a Letter to Santa and leave it with milk and cookies on Christmas Eve! 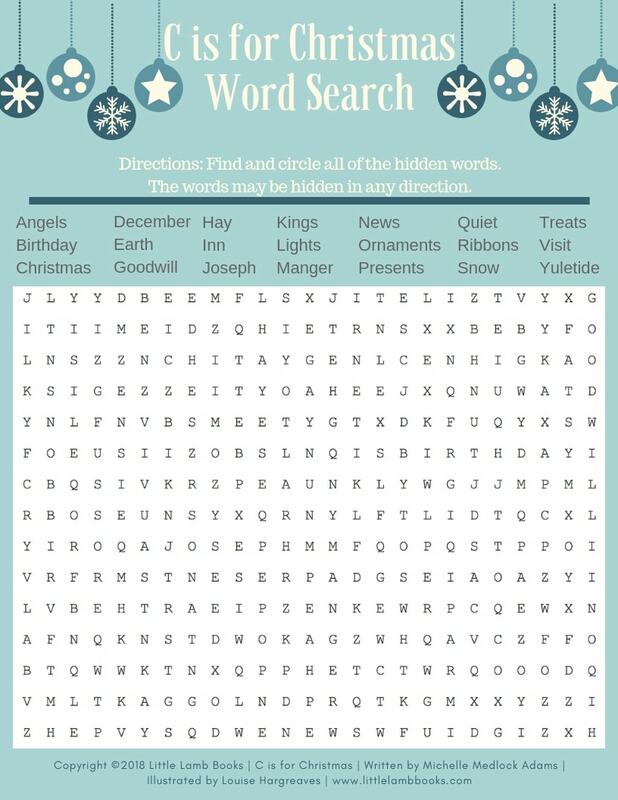 Read C is for Christmas and take on the challenge of finding all the words from the book in this holiday words seek-and-find. Fun for kids and adults alike. 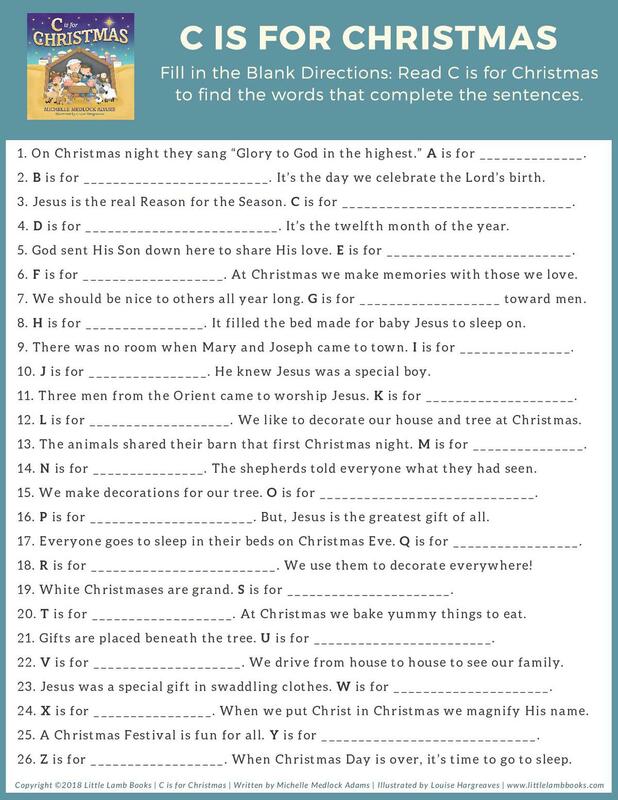 Read C is for Christmas and Fill in the answers to complete the sentences on this holiday form! 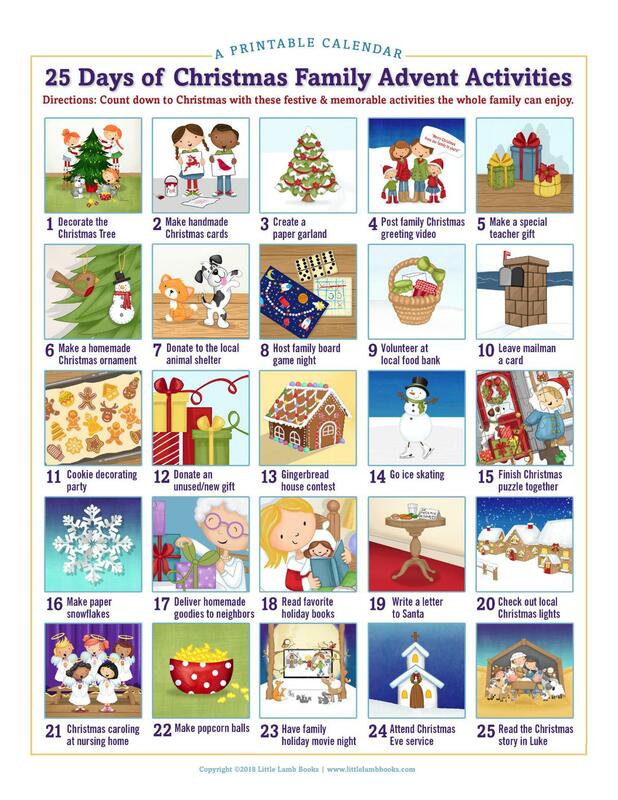 Welcome the holiday season inspired by our C is for Christmas Advent Calendar! 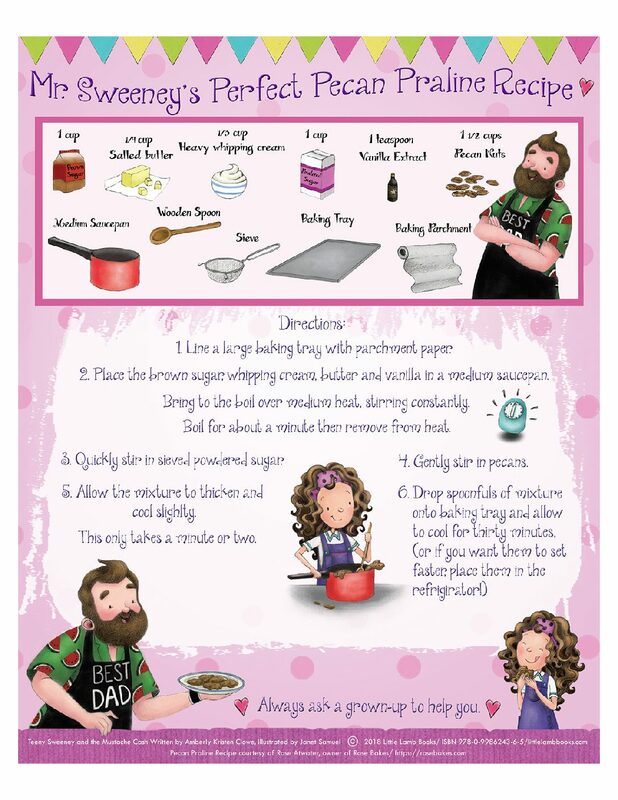 Here's Mr. Sweeney's yummy Pecan Praline Recipe from the chapter book Teeny Sweeney and the Mustache Cash by Amberly Kristen Clowe. 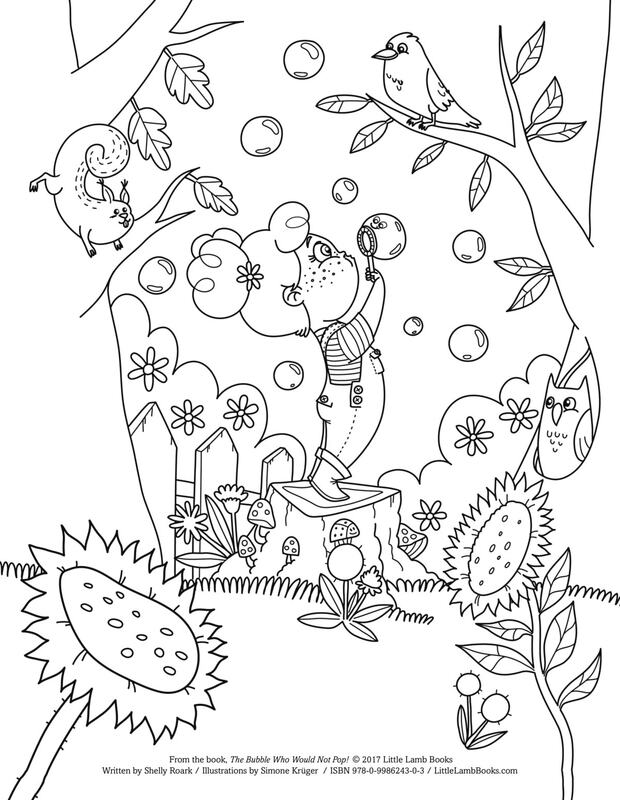 Print out this free coloring page to go along with our award-winning picture book, The Bubble Who Would Not Pop! by Shelly Roark.